I’m Not Obsessed was invited to attend a bloggers’ preview for ‘Thomas the Tank Engine: Hero of The Rails‘- PBS’ new one hour special that airs on September 5th. Mark your calendars because Thomas has gone CGI! The show also releases on DVD the very same day in case you miss it. Guess what? For the first time ever our children will get to hear and see Thomas speak by himself. Don’t worry. The male voice-over is still present guiding the kids through the storyline, but now the engines get to speak to one another and have their mouths animated like the rest of the cartoons our children are so used to watching. The event took place in Manhattan. Out of respect for the other women at the function, I won’t publish any pictures of their kids, but it was a full house. The children played with trains, colored, snacked and got to know one another while the writers learned about what’s coming up for the series. Overall, the film was engaging. My children sat still and munched on their goldfish taking in every scene. Who doesn’t love Thomas? 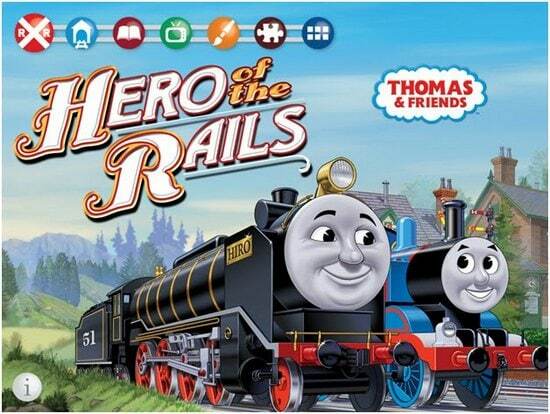 Be sure to tune into PBS on September 5th with your children to check out Thomas in CGI motion!